Nintendo has debuted an extended version of the 20th Anniversary Pokémon commercial that will air during this year’s Super Bowl. Instead of focusing on a specific game or an announcement for an upcoming product, the ad takes a more inspirational angle, featuring a bunch of kids training to become the best they can to realize their dreams. It’s heartwarming to watch and will hopefully strike a chord with the viewing audience. As a reminder, this year will be filled with announcements and merchandise related to Pokémon. On February 27, Nintendo will release the original Pokémon games, Red, Yellow, and Blue via the 3DS Virtual Console. In addition, that same day will see the debut of a New Nintendo 3DS bundle that includes 2 Cover Plates, a copy of the Red and Blue versions of Pokémon, and a special HOME screen wallpaper. Then, on March 18 Pokkén Tournament will debut exclusively on the Wii U. A new mobile game, Pokémon Go is scheduled to be unveiled later this year. The Pokémon Company International today unveiled a new TV commercial that will air during Super Bowl 50 on Sunday, February 7. The ad, shot in Rio de Janeiro, explores ambition, drive, and training, concepts that every Pokémon Trainer is familiar with. It celebrates the millions of Pokémon fans around the world who will enjoy identifying all of the hidden Pokémon references in the ad. It ends with a call to action for all those who strive to achieve their dreams: Train On. A 30-second version of the ad will be aired at the beginning of the third quarter of Super Bowl 50. An extended version can be viewed at Pokemon.com/20. Made by Omelet, a Los Angeles-based creative agency, the Pokémon 20th TV commercial will also be featured in the upcoming CBS special Super Bowl’s Greatest Commercials. This annual show, which will air on February 2 at 8:00 p.m. ET, revisits fan-favorite commercials from past Super Bowls and also gives a behind-the-scenes look at the making of the Pokémon Super Bowl advertisement. 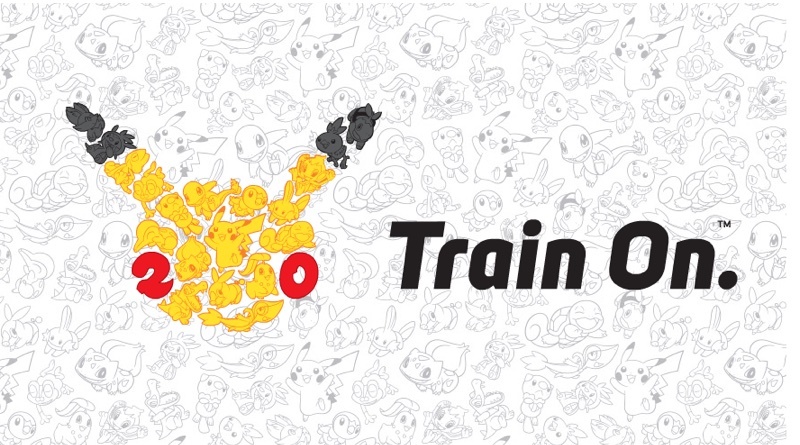 The ad is part of a yearlong campaign celebrating 20 years of Pokémon. First introduced in Japan in 1996 with the video games Pokémon Red and Pokémon Green for the Nintendo Game Boy system, Pokémon has delighted fans of all ages around the world for two decades. With more than 275 million video games sold worldwide, 21.5 billion TCG cards shipped to 74 countries, and an animated series spanning 18 seasons, Pokémon is one of the most successful entertainment brands in the world. More details can be found at Pokemon.com/20. Fans visiting the site throughout the year will find information about monthly Mythical Pokémon distributions, retail events, special products, messages from some of Pokémon’s biggest fans, and the upcoming Pokémon Photo Booth app.